Summertime In Rochester: Time To Hit the Decks! If you live in Ontario, Victor, Perinton, Webster or elsewhere in the greater Rochester area, you know that summertime is a great time to enjoy the great outdoors—even if you’re still at home! You’re not alone. People across the country are enjoying being outside their homes—with the right amenities, of course. At Gerber Homes, we’d be happy to help you with your exterior renovation ideas. Shoot us a note and tell us what you’re dreaming of and we’ll help you come up with a plan. 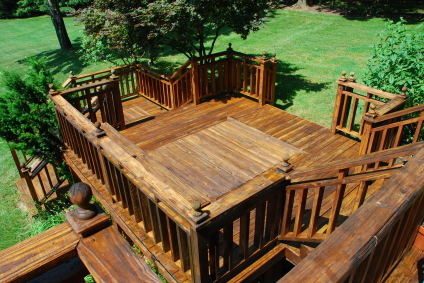 If you should happen to be thinking about adding a deck—or renovating your existing deck—you may want to think about what to put on that deck once it’s complete. And one of the things you’ll want to give serious consideration is what kind of grill will best meet your needs. The options available to homeowners today are almost overwhelming. But here’s something that might help you sort your way through the plethora of options. The good folks at BBQGuys.com have compiled several lists of the best gas grills on the market. One that you might want to look at is their list of the top gas grills for under $2,000. Many of the grills on this list are “built-in” grills that become permanent parts of your deck (and are really incredible!). But the guys at BBQGuys.com have lists of portable grills and less expensive models as well. If your family is more of a “gather-together-on-the porch” group, we can help you there, too. We’ve built plenty of great porches in the Rochester area. But don’t let summer slip away. Get outside and enjoy the great outdoors from the comfort of your own home! *You can check out the complete results of the survey here.